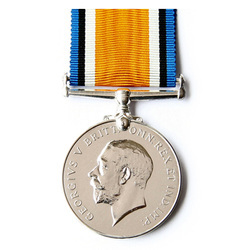 Here you'll find a collection of medals earned by the servicemen of Frampton. Do you have any to send to us? Please use the contact page to get in touch. 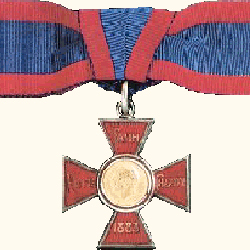 Gallantry in the field by a soldier of the British Army or the army of any country in the British Empire. 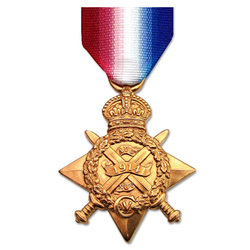 Those who had served in any theatre of war between 5 August 2014 and 31 December 1915, except those eligible for the 1914 Star. Those who had served in France or Belgium between the 5th August - 22nd November 1914. 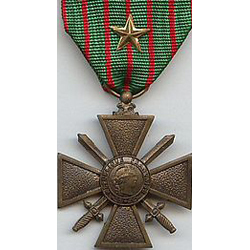 Each of the allies issued a similar bronze Victory medal and ribbon. 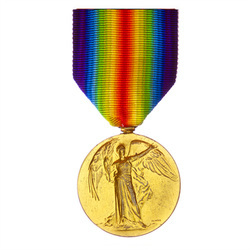 It was never awarded alone, but essentially to all recipients of a 1914 or 1914-15 Star, British War Medal or Mercantile Marine Medal. Officers and men of the British and Imperial Forces who either entered a theatre of war or entered service overseas between 5th August 1914 - 11th November 1918. All civilians who, without legal or military obligation, had come to the aid of the injured, disabled, or refugees during the First World War. 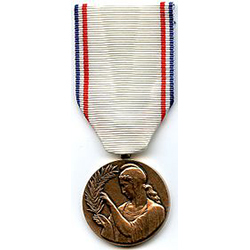 Gallantry displayed by any member of the French military or its allies. 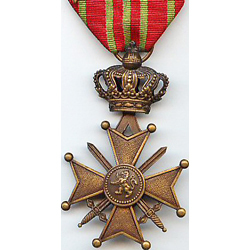 The Belgian Croix de Guerre was awarded for gallantry or good service by Belgian or Allied service personnel; British recipients may wear it only after all British decorations. 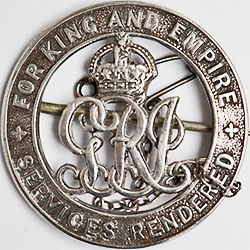 The badge was issued to men who were discharged or retired from the military forces as a result of sickness or injury caused by the war service. Trained nurses of an officially recognised nursing service, military or civilian, who have shown exceptional devotion and competence in the performance of actual nursing duties​.